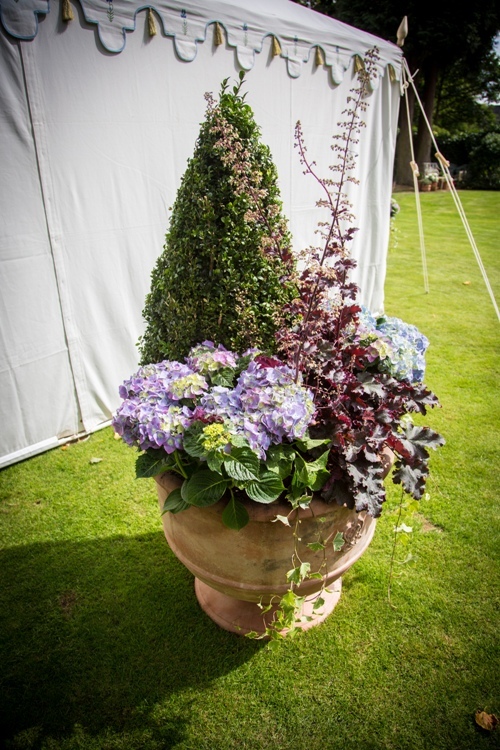 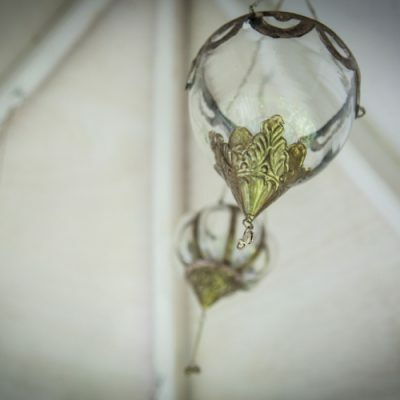 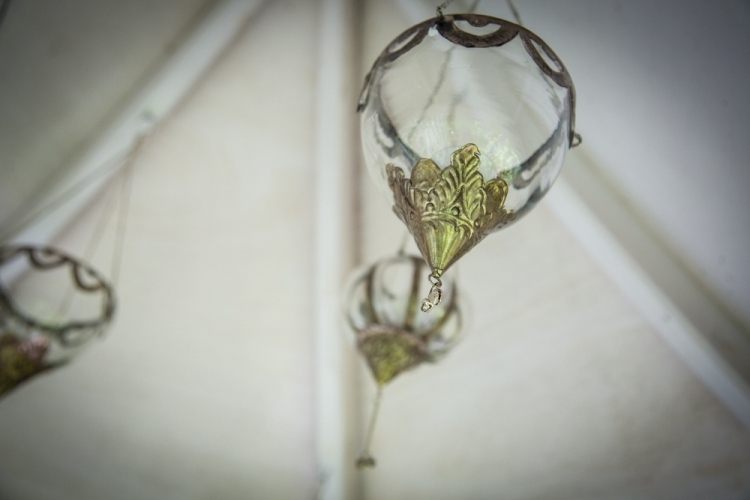 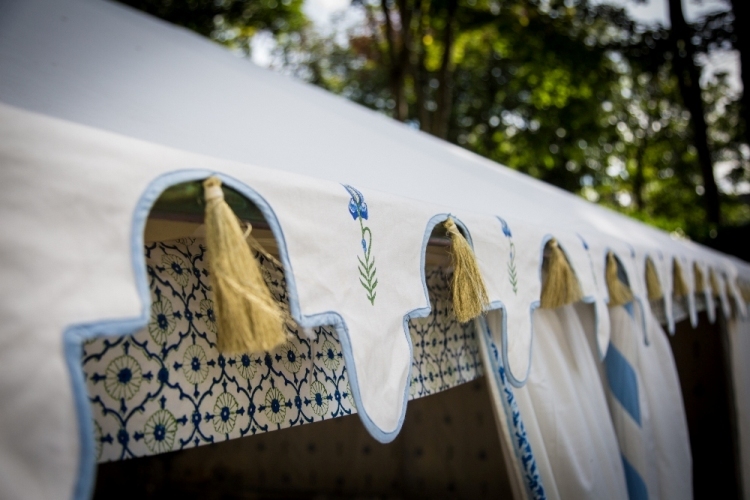 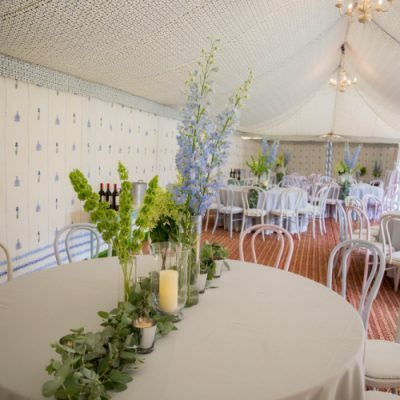 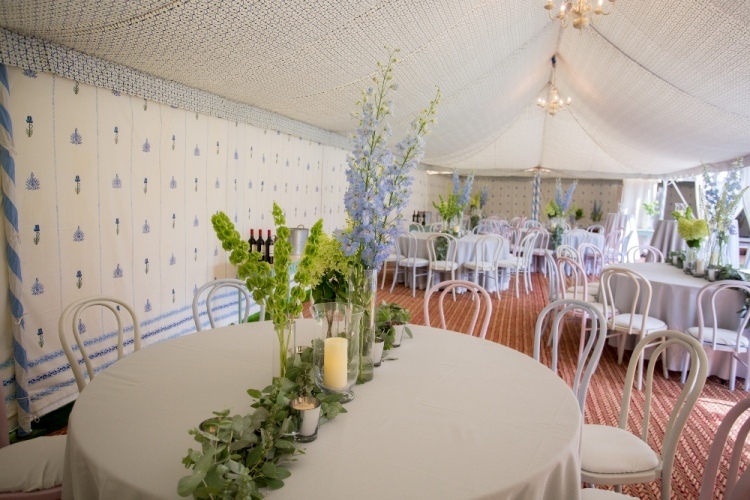 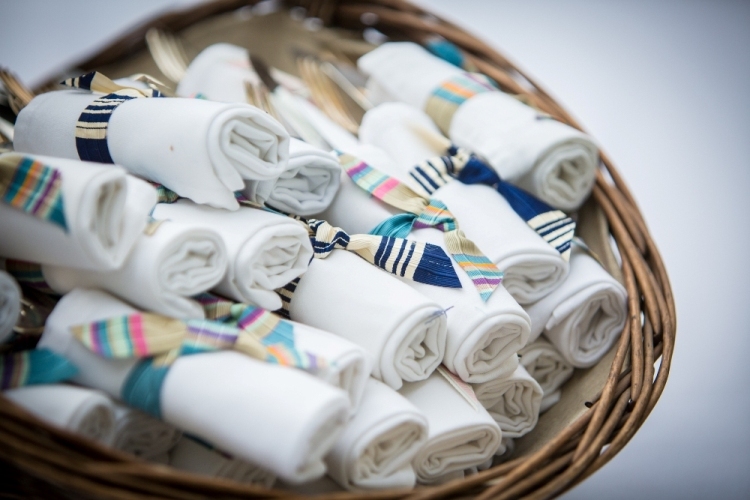 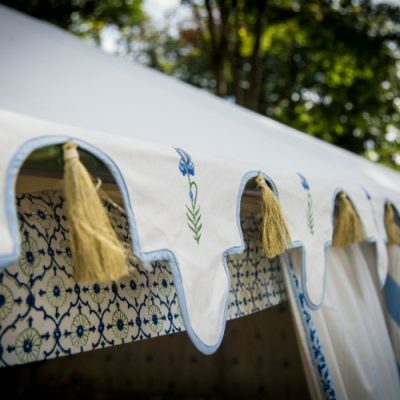 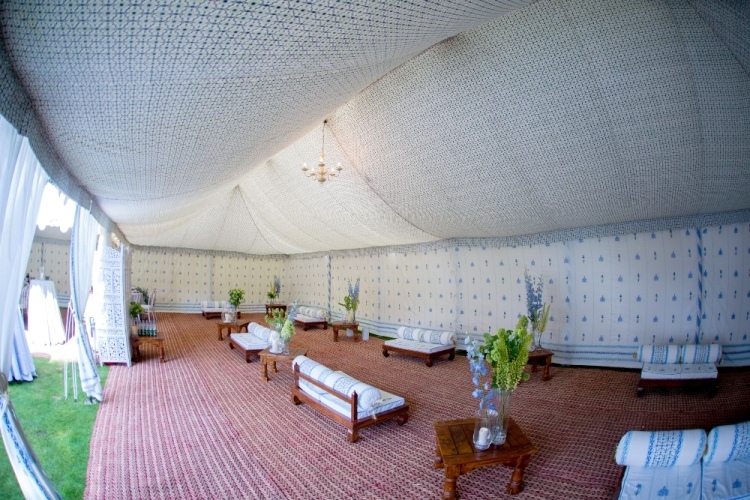 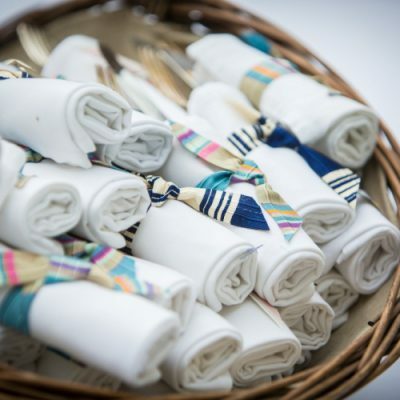 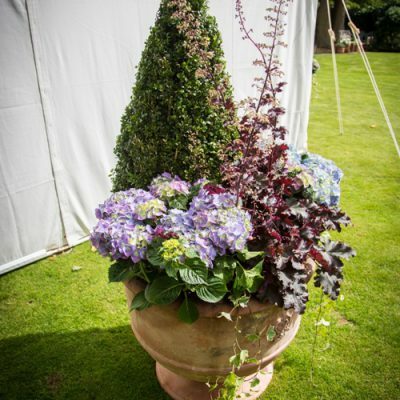 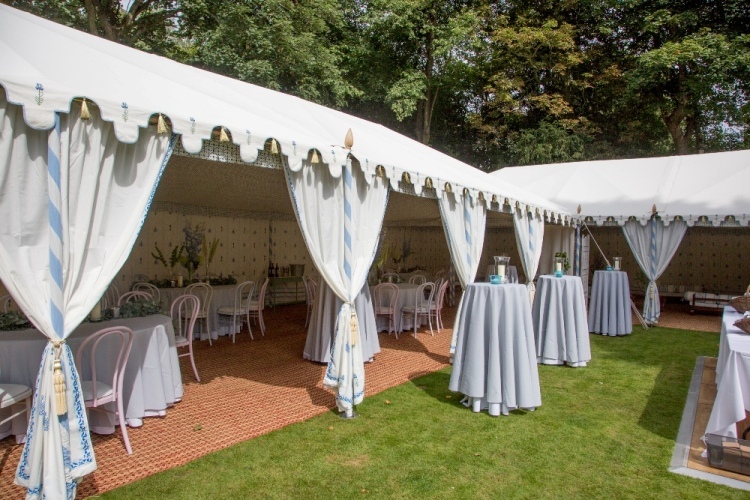 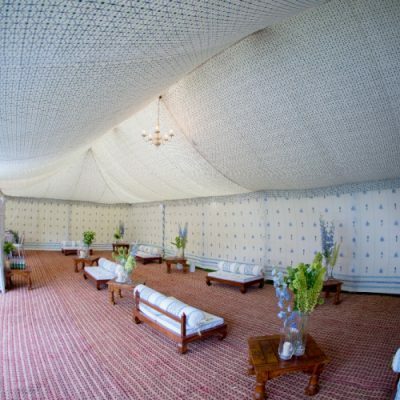 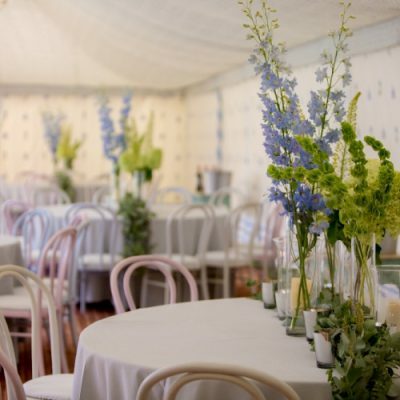 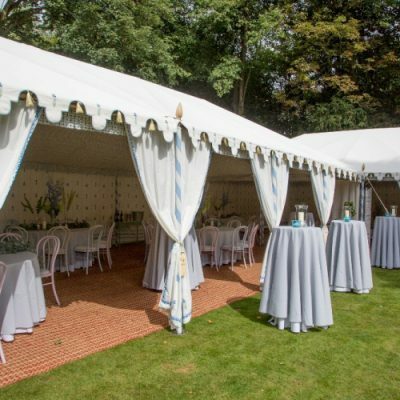 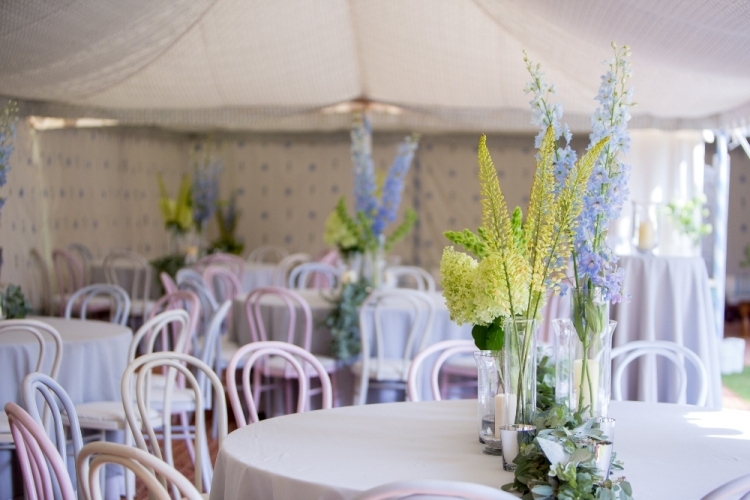 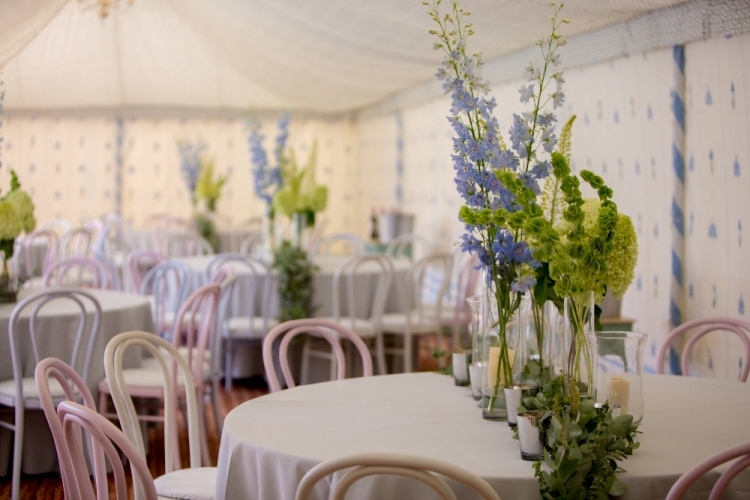 This Raj tent garden party was an absolute pleasure to pull together and style. 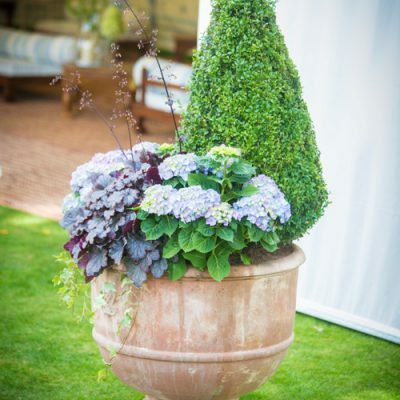 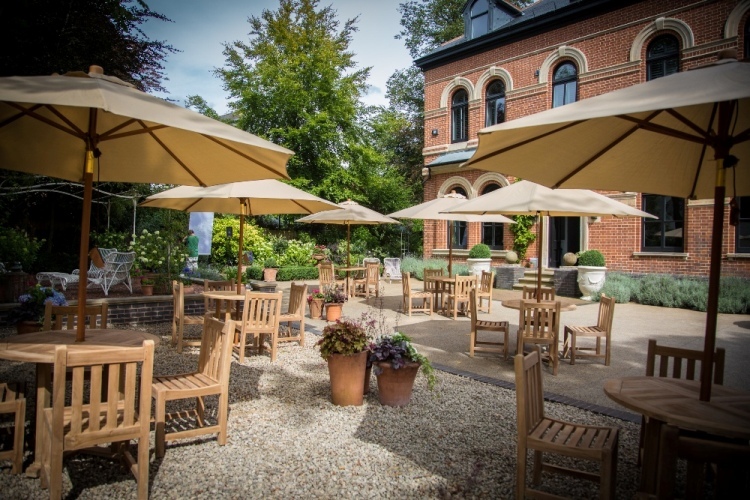 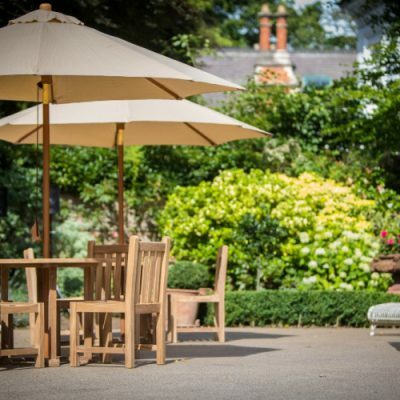 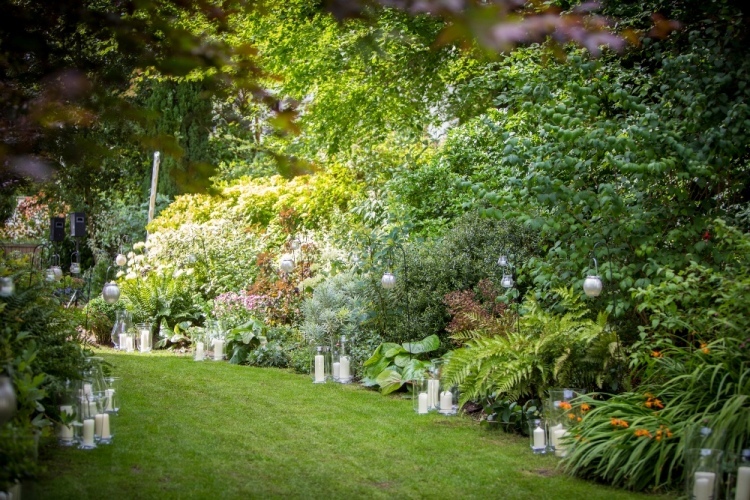 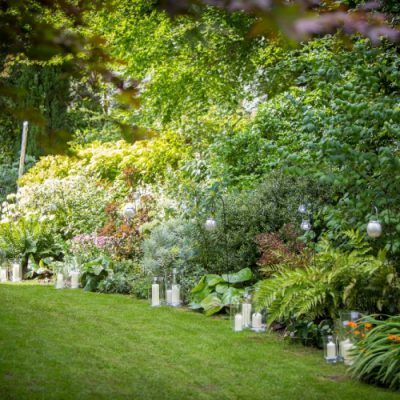 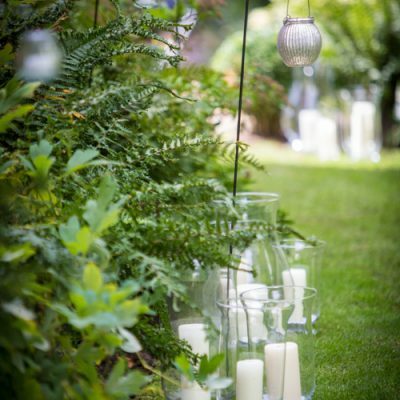 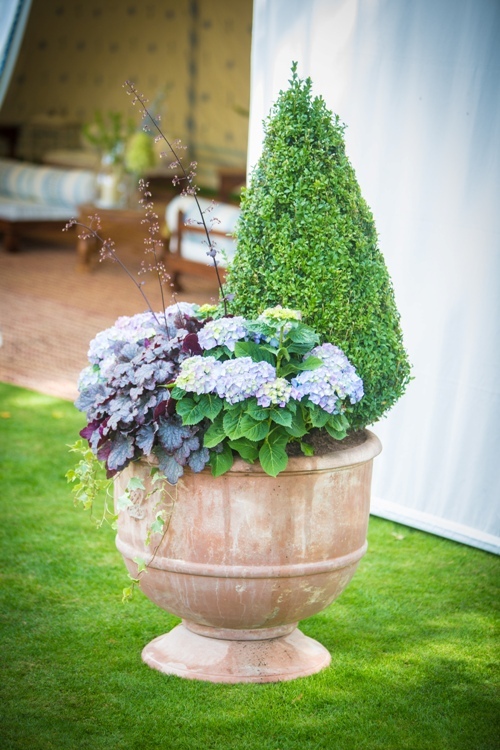 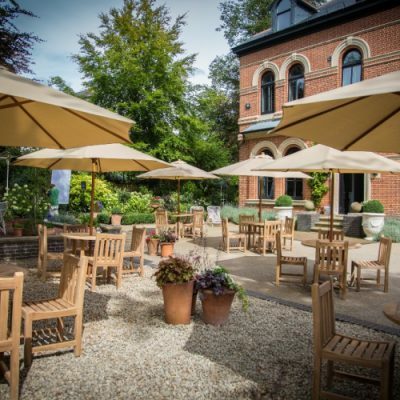 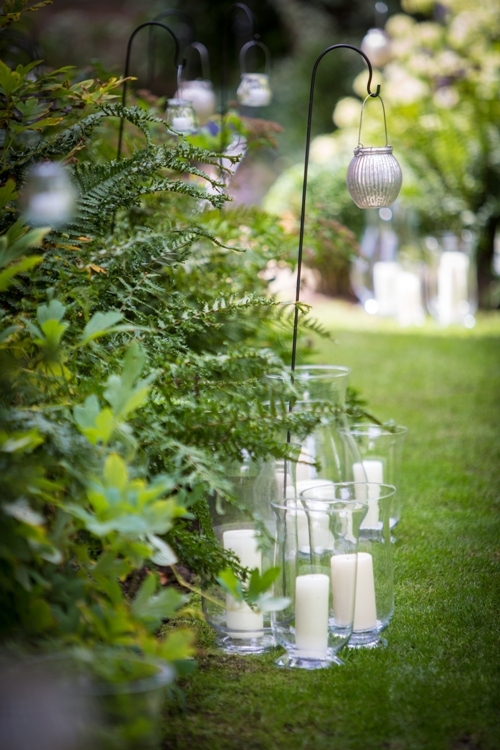 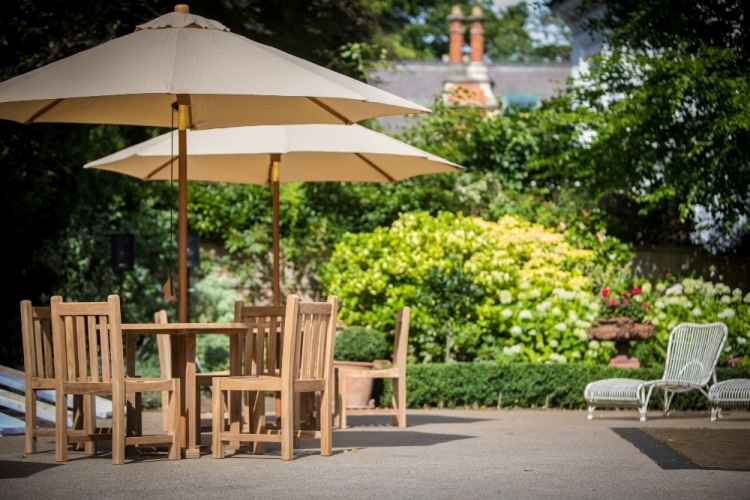 The guests’ journey began in the front garden with the simple teak furniture and plenty of interesting pots and planters; then they made their way down a candle lit path to the back garden for food and entertainment. 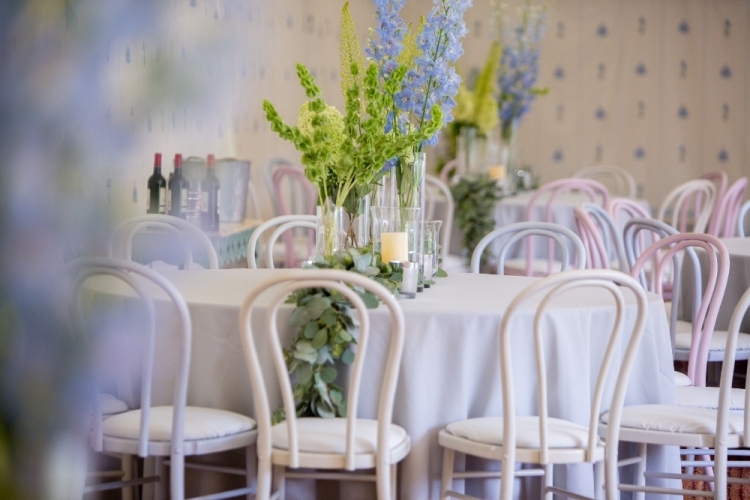 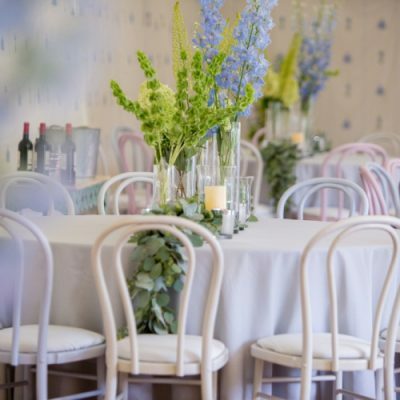 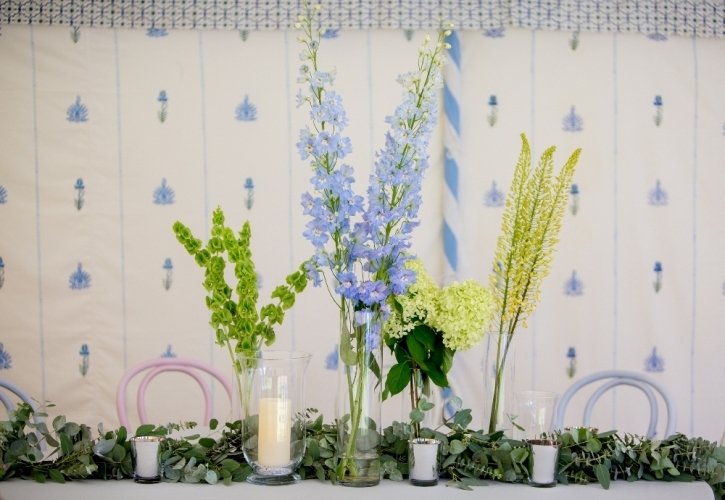 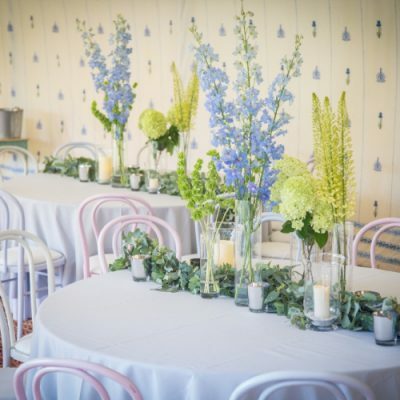 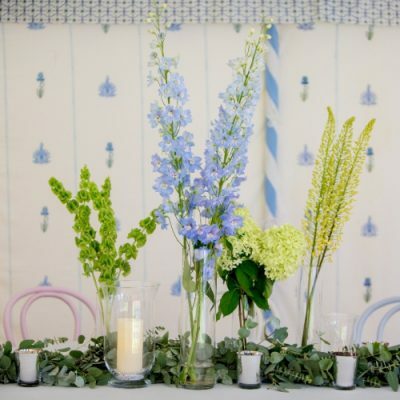 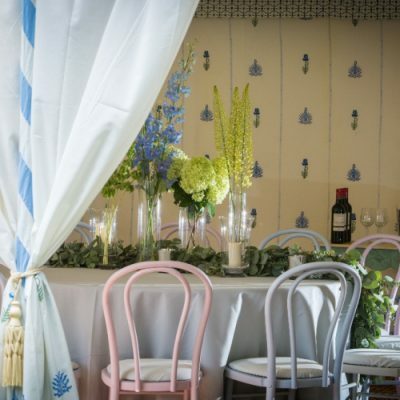 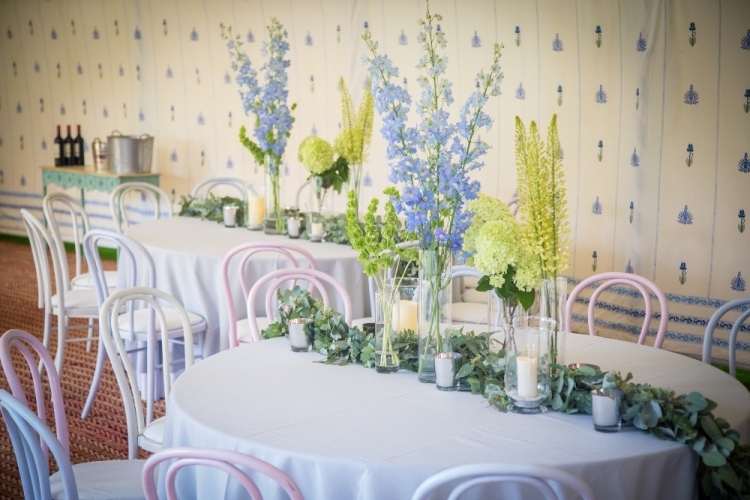 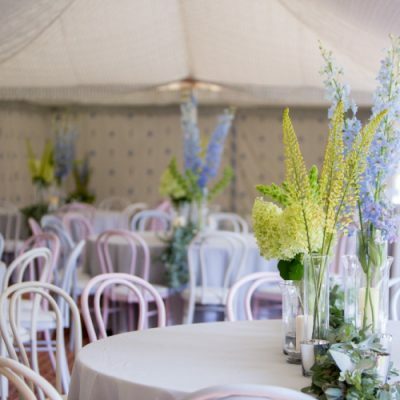 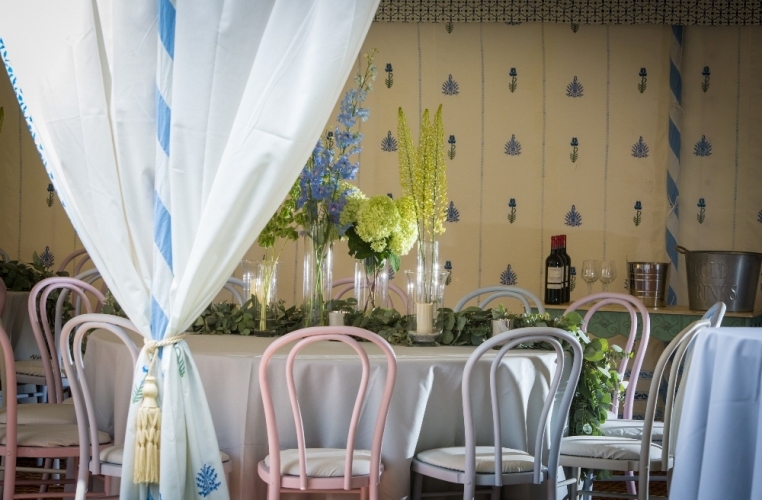 The tables were dressed with simple cottage garden blooms and layers of crisp grey and white linen.